I was born in Gateshead in the last century and was educated at Fell Dyke School and the now defunct Gateshead Grammar School for Boys. I have been a member of the Labour Party since 1988 and a labour supporter for over 45 years. Most of my working life was spent in the printing industry where I was an active trade unionist serving as FOC (Father of the Chapel, shop steward) and also as a Health & Safety representative for many years. Having been made redundant in 2007 I retrained to support people with learning difficulties, and did so at Azure then Mencap for 5 years.I then worked for a local cancer charity, FACT,until 2014 when I decided to concentrate solely on my Councillors responsibilities. I was first elected to the council in 2008 and had the honour of being elected as Mayor of Gateshead 2010-2011 which was the 175th anniversary of democracy in the Borough. In my year in office I attended over 500 engagements. I am currently on the committees of Eighton Banks Village,The Mount Community Association, Birtley Hub and SACRE (Standing Advisory Council for Religious Education). I am a member of the board of directors at The Gateshead Housing Company. 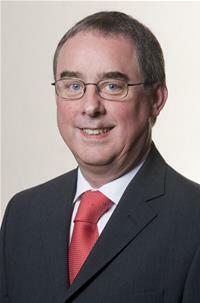 I am a school governor at Eslington/Furrowfield schools.I am also an elected member of Lamesley Parish Council. In my spare time I attend Wrekenton Methodist Church and also watch Gateshead FC, time permitting.